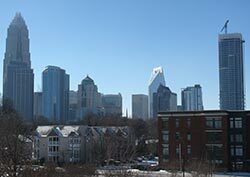 Since 2009, teams of researchers at the Center for Urban & Regional Studies have been working closely with the Charlotte Housing Authority (CHA) evaluating two of its innovative initiatives, providing periodic feedback on the impacts of these programs, and recommendations as to how they might be improved. The two projects include: (1) an assessment of the CHA’s Moving Forward program created under HUD’s Moving to Work Demonstration Program, which involves rent reforms, work requirements, incentive accounts, and other innovative approaches to providing affordable housing; and (2) an assessment of the impacts of the Boulevard Homes public housing redevelopment–partially funded with a HUD HOPE VI grant–on the original residents, economic development, and on the surrounding neighborhoods. The Moving to Work Demonstration (MTW) was enacted by Congress in 1996 to address criticisms that assisted housing programs bred dependency, undermined the work ethic, and trapped participants in areas with limited opportunities for employment and education. MTW affords selected housing authorities the flexibility to design and test innovative approaches to providing low-income families with decent, affordable housing. Participating housing authorities are guided by three program goals: achieve greater cost effectiveness; increase housing choices for low-income households; and assist participating households in achieving self-sufficiency. The Charlotte Housing Authority (CHA) is one of the 35 housing authorities across the country chosen to participate in the MTW program. They have used the flexibility offered by this program to develop the Moving Forward program, which has introduced work requirements, rent reforms, and several other major innovations. Center for Urban and Regional Studies researchers Bill Rohe, Mary Donegan, Kirstin Frescoln, and Hye-Sung Han are conducting a long-term evaluation of the Moving Forward program and produced an interim report that describes how the CHA is taking advantage of the program’s flexibility and lessons learned during the first two years of the program. The report also presents the baseline measures that will be tracked over time to assess the long-term impacts of the program. The report includes a discussion of the lessons learned in implementing the Moving Forward program that should be of interest to other housing authorities involved in the MTW program. Those lessons include: the staff needs to acquire new skills to implement such an innovative program; communication among staff members is crucial to the smooth implementation of the innovations; and major changes are required in the data base management systems to track new program outcomes. See page 8 of the Winter 2012 CURS Update for a longer summary of the project’s interim report to the Charlotte Housing Authority. 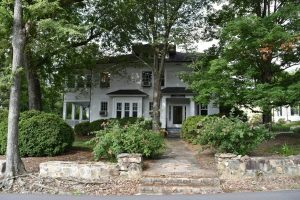 Based on an analysis of the physical and social conditions of the Boulevard Homes housing development, the Charlotte Housing Authority (CHA) engaged a variety of local stakeholders, including residents of the development, in deciding whether to rehabilitate all or part of the development or to raze it and build anew. Given significant building deficiencies, deteriorated mechanical and electrical systems, major site deficiencies, and the concentration of poverty, the CHA Board of Commissioners decided to raze the development and totally redevelop the site. CURS researchers Bill Rohe, Mai Nguyen, Mary Donegan, Hye-Sung Han, and Kirstin Frescoln are assessing the impacts of this redevelopment project on the relocated residents and on the surrounding neighborhoods. Our recent interim report shows that overall, the relocated tenants were very satisfied with the relocation services they received and are quite satisfied with their current homes and neighborhoods. The objective characteristics of their new neighborhoods (including poverty rates, employment rates, etc.) were also substantially better than their original neighborhood. The relocates also expressed high levels of satisfaction with the case management services received, and both the employment rate and the average number of hours worked have increased since relocation. At the time of this report, however, a relatively small proportion of the relocated residents were working at least 30 hours per week, the minimum to move back into the new development being constructed on the original site. Entrenched Hybridity in Public Housing Agencies in the USA, from Housing Studies, May 2012.